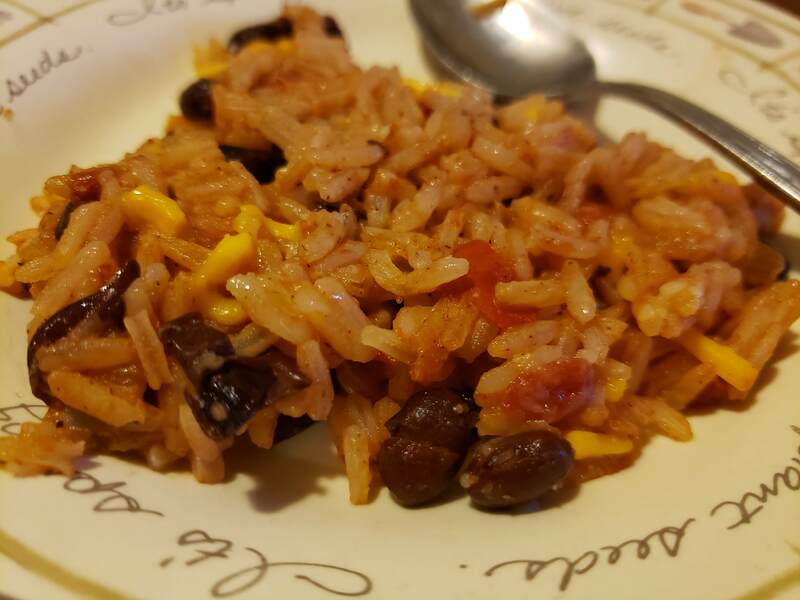 So, basically, my hubby asked me never to make black beans and rice. He found it to be bland, boring, and too beany. However, I found myself needing a low-cost recipe while I was meal planning last week, and I couldn’t help but try to see if I could make a black beans and rice dish that my hubby would eat. Well, guess what. It turned out to be a hit! We can now start adding this quick, easy, budget-friendly meal to our meal rotation! Anyways, I hope you and your family enjoys this Black Beans and Rice recipe as well! Turn the heat up to med/high and stir together beans, tomatoes, salt, pepper, and oregano in a 3.5Qt - 4Qt Skillet. Bring the heat up to high, then add the chicken broth and water. Allow this to come to a boil, stirring occasionally. Once the mixture has come to a boil, bring your heat down to low and stir in the rice. Cover and cook on low for about 20 minutes or until most of the liquid has been absorbed and rice is cooked. You'll want to stir every so often so the rice doesn't stick to the bottom. Once the liquid is absorbed, turn off the heat, give it one last good stir, and enjoy! We like to serve ours with a bit of sharp cheddar cheese on top!